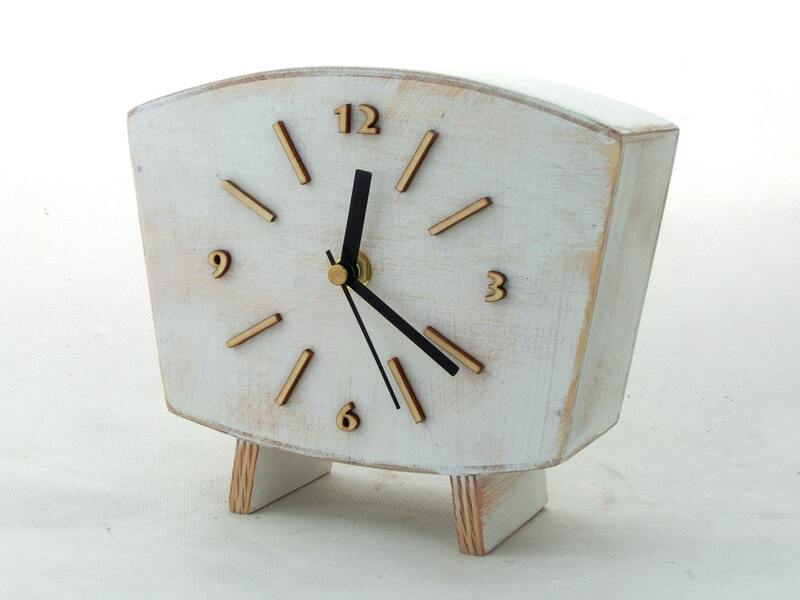 NO TICKINGTable clock handmade and handpainted with acrylic paints and distressed. Protected ecological varnish. 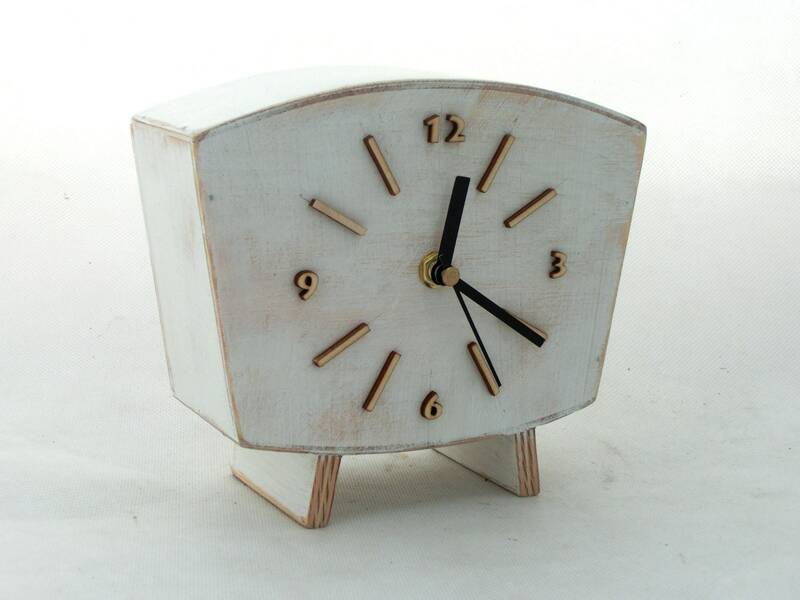 This Quiet Desk Clock made in Vintage style 60s or for teen age room. Will be unique ideas for wedding gift and birthday, Xmas gift for home decor or any ocasion. It can decor mantle just great white wooden decor. 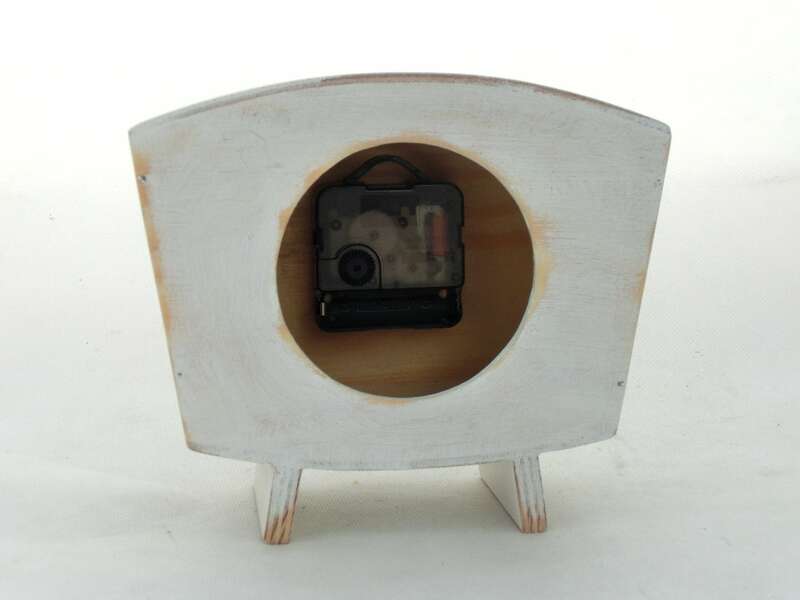 Made from solid wood and plywood. 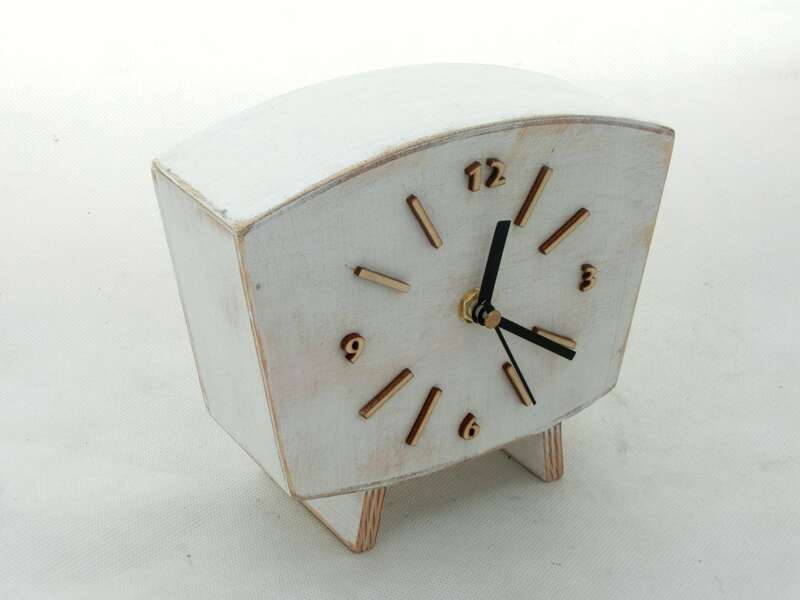 This clock is entirely made at Clock Wood Studio.